Developed by Happy Elements, this is one of the latest game on Facebook. A casino-themed business - Boss Vegas, where you are the owner of a casino. 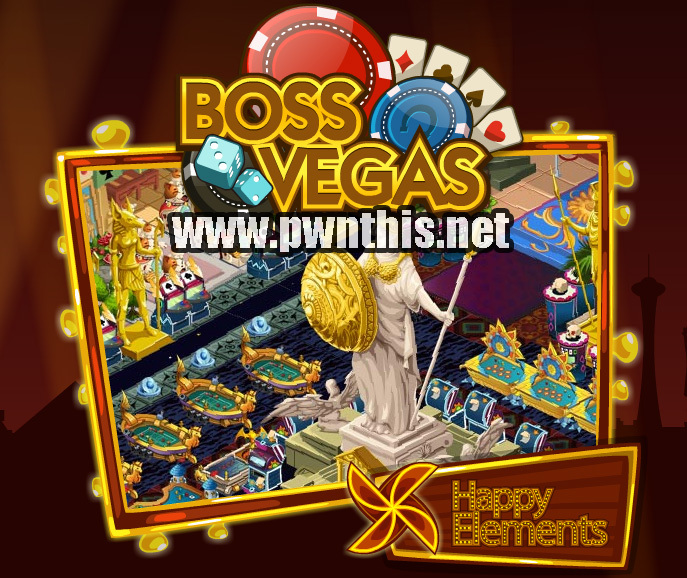 This game is well-polished and you can see that the visual and graphics are a lot nicer than other casino-themed games. 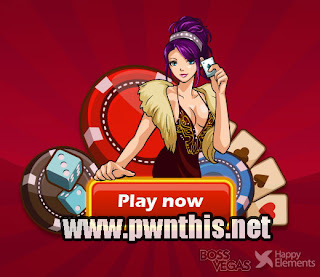 Build casino tables and slot machines allowing customers to spend their cash. The machines have a limit and when they gets filled up, you can collect the coins and using this profit, purchase more machines. Fairly simple game mechanics. Note that you can click on your customers and earn EXP and COINS from them too. 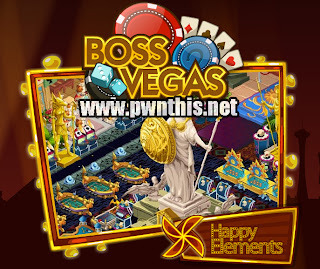 Improve the number of Bling in your casino and you will get customers which means more money! In order to get bling, you just have to purchase decorative items. Get more friends to play with you as they can be your dealers. They have more energy than the normal computer dealers. Cheat your way up the social rankings!